Abba Kovner (1918-1987) was born in Sebastopol, Crimea, and grew up in Vilnius, Lithuania, where he graduated from the Hebrew Gymnasium. After the Nazi invasion, he joined the Jewish underground partisan organization, and in 1943 took command of the United Partisans Organization of the Vilnius ghetto. Shortly before the extermination of the ghetto, he led the Jewish Partisans' Battalion in the neighboring forests. An organizer of illegal immigration during the British Mandate, Kovner was imprisoned, freed and went on to fight in the War of Independence. He wrote his first collection of poetry in 1947, while imprisoned by the British. He then settled on Kibbutz Ein Hahoresh, where he lived until his death. 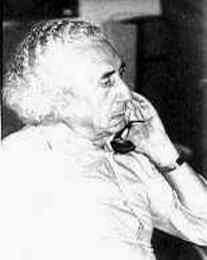 Kovner, a novelist and essayist, was most notably a poet. He has been critically acclaimed worldwide. He received the prestigious Israel Prize for his work. 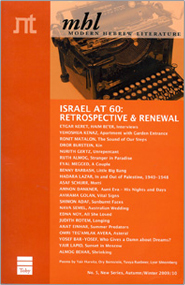 Abba Kovner's experiences during World War II and the establishment of the State of Israel influence his writing throughout. "Poetry," said Kovner, "is a request for forgiveness for what we do in our lives, and for what was done to us." His poetry is very personal, yet painfully universal. Using rhyme, assonance, unusual syntax and graphic technique with formidable technical skill, Kovner dissolves the barriers between we, you, I and she. "The struggle to survive is eternal and timeless," writes poet Shirley Kaufman. "Kovner knows it in everything he writes... His concerns transcend the concerns of one people. The central predicament of his poems is not national but metaphysical and moral." He questions how we remain human in an inhuman world.